Reliable and competitively priced, Fixman hardware products provide essential solutions for greater flexibility and safety in the office, workshop and home. 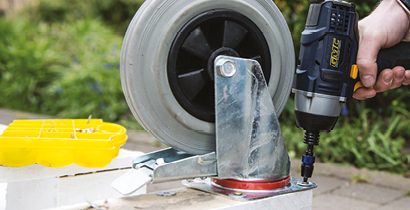 Whether it’s wall plugs, fixings, pest control, various-sized shelving brackets for supporting light to medium loads, fixed or swivel castors with non-marking tyres, or easy-to-install brackets for supporting flat screens, monitors and LED TVs, Fixman has the answer to get things fixed, first time, every time. One of the fastest-selling and fast-growing ranges in the UK and Europe, if you are interested in becoming a stockist please click here to complete an application form. Check out the full range of Fixman products and find your nearest stockist today.? 2019 FIXMAN. All rights reserved.